Saccharomyces Boulardii is a probiotic, non-colonising yeast species closely related to Brewer’s yeast and not related to the yeast group to which Candida belongs. 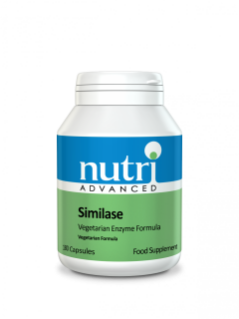 It aggressively displaces problematic yeast species in the Gastro Intestinal tract and has been used in Europe to prevent post-antibiotic diarrhoea. 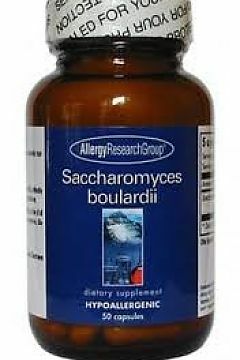 Saccharomyces Boulardii taken orally produces lactic acid and some B vitamins as it becomes established, and crowds out the unfriendly strains of yeast. During use, friendly probiotic bacteria are allowed to colonise in the Gastro Intestinal tract, supporting micro-ecology. Saccharomyces Boulardii has been shown to increase levels of secretory IgA and research has shown it to be effective against specific unfriendly microbes. 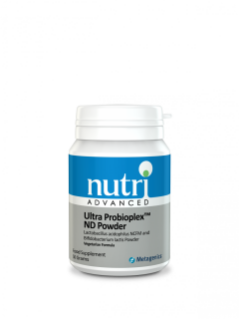 Dietary supplementation with potent probiotic cultures assists the host in maintaining a healthy probiotic balance. Both extensive studies and clinical use suggest it can help displace unfriendly yeast species in the Gastro Intestinal tract. Other Ingredients: Cellulose, Hydroxypropyl Methylcellulose, Magnesium Stearate. 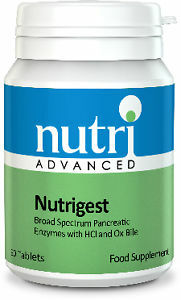 Free from: All common allergens (antigens), and does not contain preservatives, diluents, or artificial additives. Suitable for Vegetarians. Take 3 capsules twice a day on an empty stomach. If pregnant, nursing, or taking prescription medication, consult your healthcare practitioner prior to use. Keep refrigerated – short term heat exposure is acceptable. The product can appear speckled due to the fact that it is a mixture of Saccharomyces Boulardii, which is brown, and cellulose, which is lighter in colour.